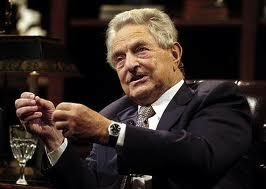 George Soros gave a speech this year in June 2012, Could be one of the best speech have heard in the financial domain. He Started with the Crash of 2008 that has been a widespread recognition, both among economists and the general public, that economic theory has failed. But there is no consensus on the causes and the extent of that failure. He differentiate economics that is a social science and there is a fundamental difference between the natural and social sciences. Putting the radically approach inspired by Karl Popper who taught him that people’s interpretation of reality never quite corresponds to reality itself. This led him to study the relationship between the two. There is a two-way connection between the participants’ thinking and the situations in which they participate. On the one hand people seek to understand the situation; that is the cognitive function. On the other, they seek to make an impact on the situation; he termed that the causative or manipulative function. According to Soros theory financial markets may just as soon produce bubbles as tend toward equilibrium. Since bubbles disrupt financial markets, history has been punctuated by financial crises. Each crisis provoked a regulatory response. That is how central banking and financial regulations have evolved, in step with the markets themselves. Bubbles occur only intermittently but the interplay between markets and regulators is ongoing. Since both market participants and regulators act on the basis of imperfect knowledge the interplay between them is reflexive. Moreover reflexivity and fallibility are not confined to the financial markets; they also characterize other spheres of social life, particularly politics. Indeed, in light of the ongoing interaction between markets and regulators it is quite misleading to study financial markets in isolation. Behind the invisible hand of the market lies the visible hand of politics. Instead of pursuing timeless laws and models we ought to study events in their time bound context. He concluded with his interpretation of financial markets was either ignored or dismissed by academic economists. All this has changed since the crash of 2008. Reflexivity became recognized but, with the exception of Imperfect Knowledge Economics, the foundations of economic theory have not been subjected to the profound rethinking that I consider necessary. Reflexivity has been accommodated by speaking of multiple equilibria instead of a single one. But that is not enough. The fallibility of market participants, regulators, and economists must also be recognized. A truly dynamic situation cannot be understood by studying multiple equilibria. We need to study the process of change. It demonstrated the role of misconceptions and a lack of understanding in shaping the course of history. The authorities didn’t understand the nature of the euro crisis; they thought it is a fiscal problem while it is more of a banking problem and a problem of competitiveness. And they applied the wrong remedy: you cannot reduce the debt burden by shrinking the economy, only by growing your way out of it. The crisis is still growing because of a failure to understand the dynamics of social change; policy measures that could have worked at one point in time were no longer sufficient by the time they were applied. He says there is a bubble involved, after all, but it is not a financial but a political one. It relates to the political evolution of the European Union and it has led him to the conclusion that the euro crisis threatens to destroy the European Union. More so he says European Union itself is like a bubble. In the boom phase the EU was what the psychoanalyst David Tuckett calls a “fantastic object” – unreal but immensely attractive. The EU was the embodiment of an open society –an association of nations founded on the principles of democracy, human rights, and rule of law in which no nation or nationality would have a dominant position. The Maastricht Treaty was fundamentally flawed, demonstrating the fallibility of the authorities. Its main weakness was well-known to its architects: it established a monetary union without a political union. The architects believed however, that when the need arose the political will could be generated to take the necessary steps towards a political union. It took some time for the financial markets to discover that government bonds which had been considered risk-less are subject to speculative attack and may actually default; but when they did, risk premiums rose dramatically. This lead to commercial banks whose balance sheets were loaded with those bonds potentially insolvent. And that constituted the two main components of the problem confronting us today: a sovereign debt crisis and a banking crisis which are closely interlinked. Interestingly, the terms “center” and “periphery” have crept into usage almost unnoticed. Just as in the 1980’s all the blame and burden is falling on the “periphery” and the responsibility of the “center” has never been properly acknowledged. Yet in the euro crisis the responsibility of the center is even greater than it was in 1982. The “center” is responsible for designing a flawed system, enacting flawed treaties, pursuing flawed policies and always doing too little too late. In the 1980’s Latin America suffered a lost decade; a similar fate now awaits Europe.